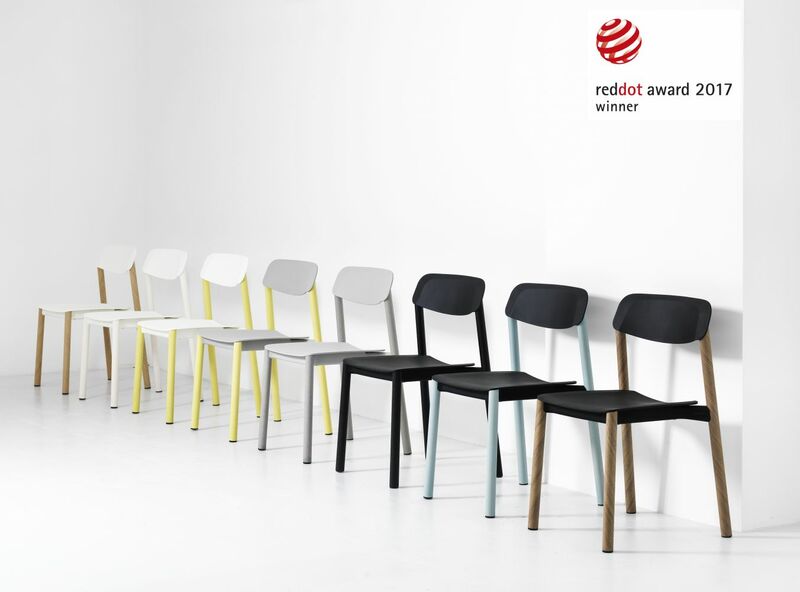 Penne is the world’s first chair with legs made of laminated wooden tubes. It was launched in October 2016 and has now been awarded the Red Dot Award: Product Design 2017. Penne has its hallmark both in innovation and aesthetics and proves the complexity of designing the simple. A well thought out, light weight chair, still strong for heavy-duty use. Designed to suit almost any environment, Penne is easily assembled with screws or bolts and, consequently, it is easy to take the chair apart and recycle or replace the components. Penne is available with a seat and back in polypropylene and the wood version in ash, walnut or oak the chair can meet a wide range of environments and areas of use. Penne also comes with armrests as well as accessories like linking device and a flip-shelf storage. Seat height 46 cm.